A surprising number of job applicants tend to exaggerate, distort, or lie outright on job resumes. According to the Society of Human Resource Management, more than half of all job applicants pad their resumes to at least some extent regardless of whether they are applying for an entry-level job or a senior position. 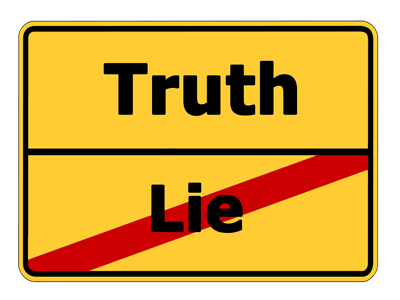 People who resort to lying on resumes tend to misrepresent facts about their previous employment dates most often, according to litigation support and security consulting firm Marquet International. Other top lies include inflated grades and fabricated degrees, fake credentials, fake references and inflated accomplishments and skills. As an employer, there are several tactics you can use to separate fact from fiction when reviewing a job applicant’s resume. Not all of them are fool proof but they do provide a measure of protection against outright lies and deception. One of the most efficient ways of vetting the details in a resume is to conduct a background check. Firms that conduct these checks look into details such as job applicant’s previous employment dates, work history, educational qualifications and criminal history. Many even scrape up publicly posted information about a candidate from social media sites such as Facebook and LinkedIn. Such checks can help you easily identify any obvious discrepancies in the job applicant’s resume. Requiring job applicants to provide school and college transcripts is a good way to verify educational achievements. Though few applicants are likely to claim fake degrees, a very large number of job seekers routinely inflate their grades and accomplishments. A official school transcript can help you spot such fudging. A customized job application can help you unearth information about a candidate that a resume cannot, according to lawfirm Fisher & Phillips LLP. By crafting the application well, you can glean a lot of detailed information about the job seeker’s previous work experience and employment dates, acquired skills, achievements, and education. A customized application can sometimes help you spot inconsistencies in the resume that you may have otherwise missed. An easy way to verify an applicant’s claimed knowledge of a specialized skill is to test it, according to CareerBuilder.com. For example, you might ask the job applicant to respond to specific technical questions to test his or her stated computer programming skills. Or, you could have them take a writing test to verify their stated foreign language skills. In all cases, it is also a good idea to ask for, and speak with previous employers, supervisors and other references. Though it takes some legwork, such vetting can go a long way to identify potential lies in a resume.